About ICP Networks | The ICP Journey | An ISO9001 & ISO14001 company. 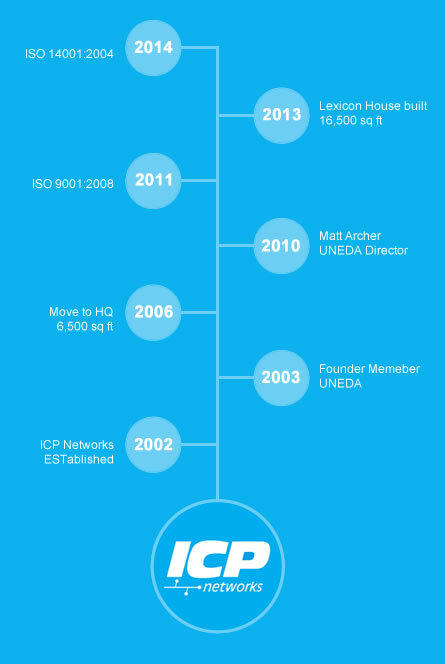 ICP Networks was formed in 2002 by Matt Archer, a leading UK IT and networking expert. Archer chose South Manchester as the base for ICP Networks, some 5,211 miles away from his birthplace near to Silicon Valley, in Northern California, home to the world's largest and most influential technology companies. Matt has lived and worked in the UK since 1996 and earned a reputation as being one of the countries leading experts in IT communications. The former sales management specialist had worked with Global IT Leasing Companies in North American and the UK and identified an opportunity in the market. Matt, who's father owned the first Apple Computer Store in Colorado before trading IBM compatible PCs in the 80s and 90s, was born with IT in his blood. Having identified the opportunity Matt chose South Manchester as the base to launch ICP Networks, with it's transport links and friendly workforce proving particularly appealing. Matt's formula for ICP Networks proved more successful than he could have imagined. 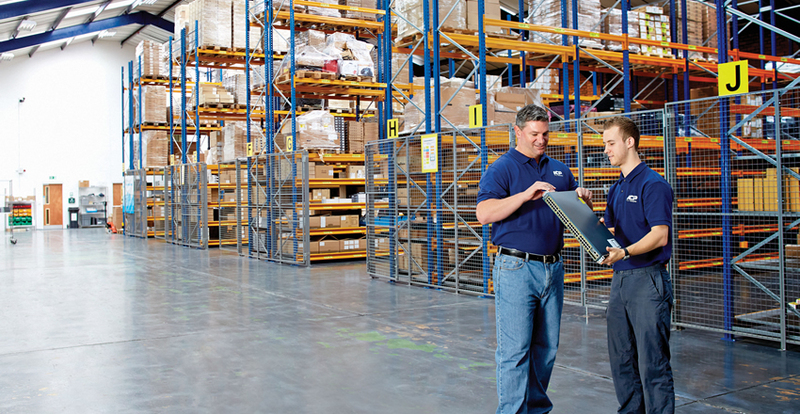 Since it's inception the business has grown from strength to strength and is now one of the largest networking retailers in it's sector in the world. ICP Networks success has seen them outgrow their headquarters twice since their foundation prompting a move in 2013 to a stunning 16,500 sq feet HQ in South Manchester. The new venue, dubbed the greenest IT HQ in Britain, boasts the one of the largest solar panelled installation in the North West of England and was designed with the latest environmentally advances known to construction. With customers in more than 43 countries and a loyal staff, the majority of whom have been with ICP Networks since it's formation, Matt has proved ICP Networks are truly big enough to matter, small enough to care.